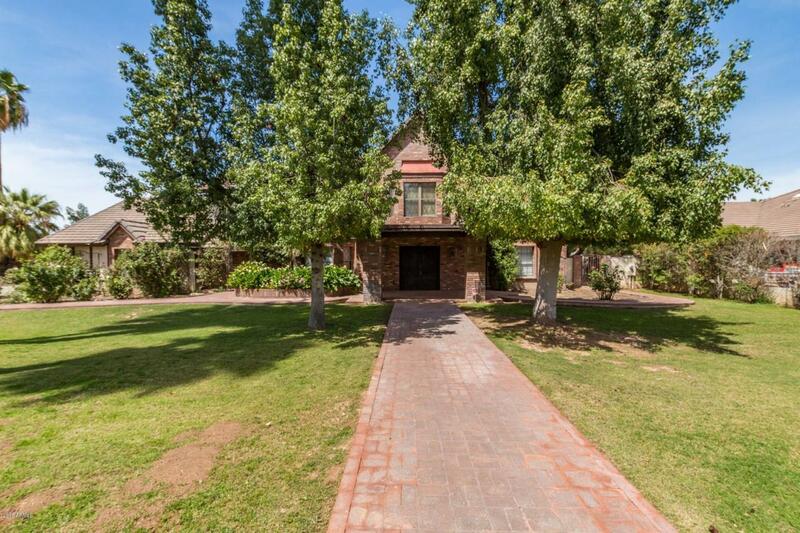 You must see this sprawling home in Tempe! 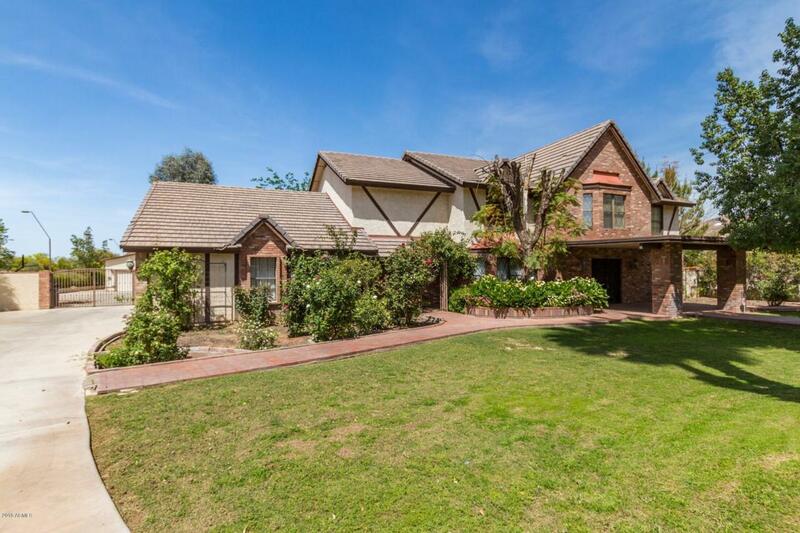 This two story, Tudor style home has a walkway paved with red bricks, five car garage and a separate guest house. 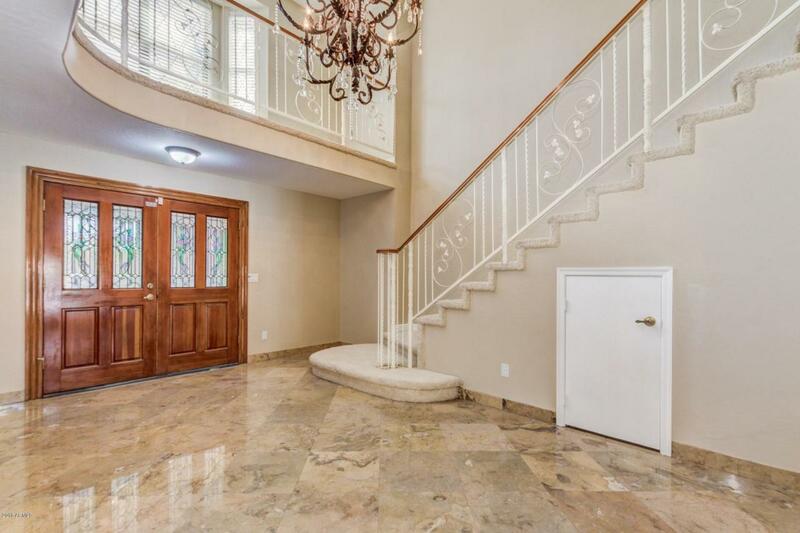 Upon entry you will see a marble floor, grand staircase and the family room has a fireplace. The den has built in desk and shelves, access to a full bathroom. 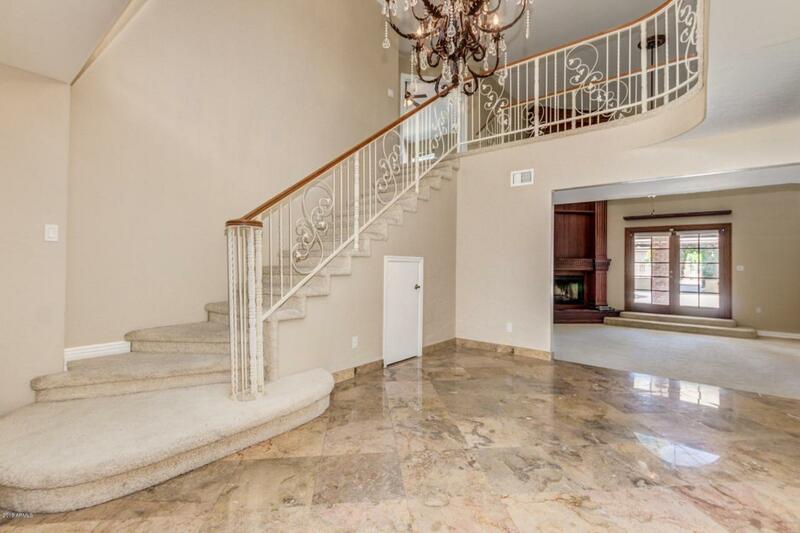 Formal dining room, great room and a spacious eat in kitchen, with french doors to the backyard. Stainless steel appliances, granite counter tops, wall oven, built in microwave, island, walk in pantry, and access to half bathroom. Indoor laundry with washer/dryer hook up. Two master bedrooms, each with own bathroom with double sinks and walk in closets. Main master bathroom has granite countertops, custom designed shower, separate soaking tub.